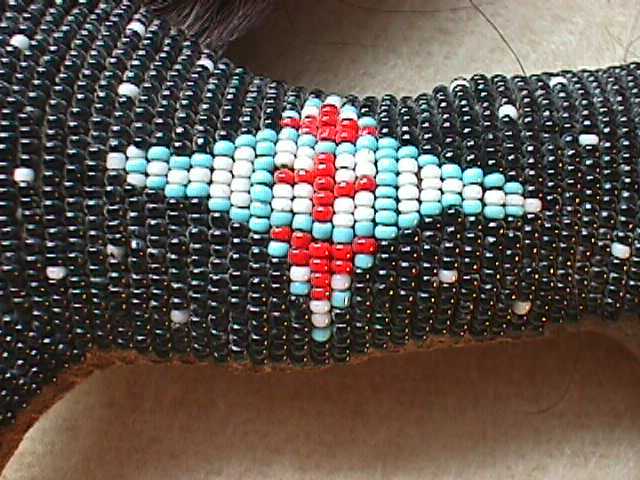 Native American Bead Work: Page 3. 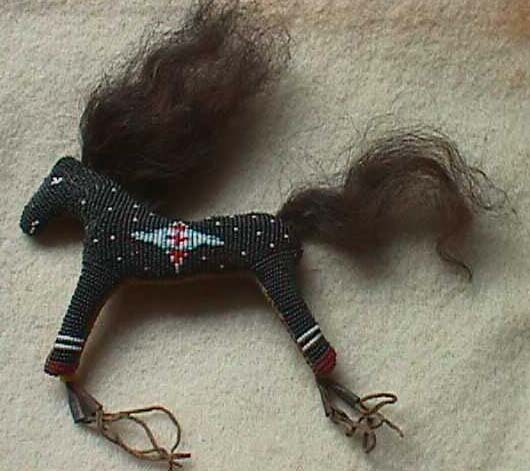 Plains Beaded White Pony: A beautiful little horse effigy on brain tanned hide. Next Page: Native American Bead Work: More Unique and Beautiful Beaded Pieces. The Maass Collection Home Page: Start your tour of my museum quality collection here! The Maass Home Page: The starting point to view all my collections. 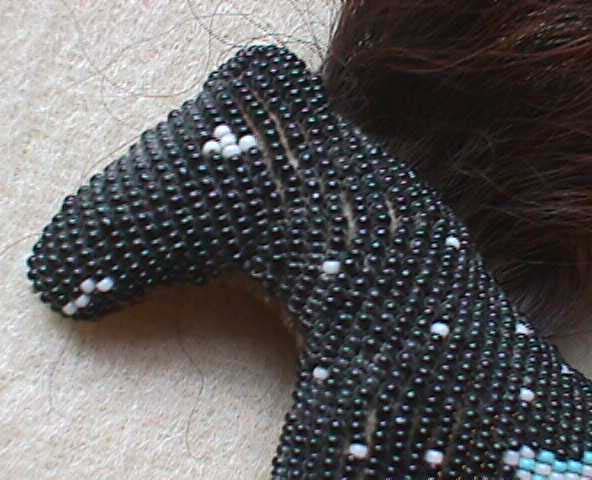 Plains Beaded Cream Pony Effigy: A horse of a different color on native tanned hide. Plains Beaded Sacred White Buffalo: A really nice example of superb beadwork on native tanned hide. Brother Black Pony: A beaded black pony - brother to this one and just as nice and for sale! CURRENTLY THIS NICE LITTLE PLAINS BEADED FETISH IS NOT FOR SALE.